Kent has four garden centres in the top 100 by turnover. Headed up by the massive Polhill Garden Centre with estimated takings of nearly £12 million. Kent is also famous for the prolific number of small plants nurseries it has and although time has taken its toll, many still exist and a good portion are thriving. This is partly due to to the relatively warm weather in this county making it ideal for the cultivation of all types of fruit. The name Bybrook Barn refers to the fact that the garden centre was originally sited at the Old Barn in Bybrook. In 1975 the barn was restored and began trading as a garden centre. Space had become .... Click here for the full article. Canterbury Chartham belongs to Wyevale Garden Centres and it follows the layout of their similar medium to large garden centres. The paths are straight and wide making access easy but not providing a .... Click here for the full article. 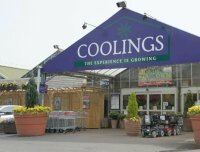 Coolings Green and Pleasant Garden Centre has had several owners over the years being independent as Whitelegg's Nursery until 1991 then being owned by Country Gardens and Wyevale Garden Centres in quick .... Click here for the full article. The garden centre plants area extends to a massive three acres, occupied almost exclusively by plants. This places the range and number of plants available on site as one of the top three largest for a .... Click here for the full article. They also stock, year round, a good choice of landscaping materials which covers paving stones (your local stockist for Bowland Stone), gravel, turf, garden furniture and composts. Especially useful .... Click here for the full article. Grafty Garden Centre have their own plant nurseries and grow many of their own plants. 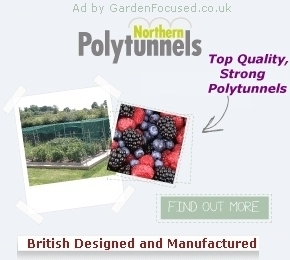 They are a large garden centre and stock .... Click here for the full article. 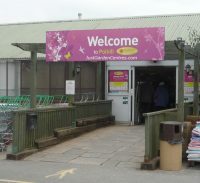 Millbrook Garden Centre in Gravesend is a largish garden centre which was first opened in 1994. The plants area is attractively designed around a central water feature with masses of space. All .... Click here for the full article. Notcutts in Maidstone is situated on the Newnham Court Shopping Village where there are twenty shops, cafes and even a pub. 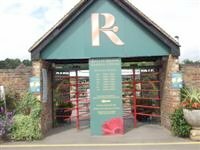 The garden centre just makes it into the top 100 garden centres in the UK by .... Click here for the full article. In common with many garden centres Paddock Wood started its life as a roadside market stall selling vegetables and other local produce. From its inception in 1956 to the mid 1990s it slowly grew .... Click here for the full article. It began life in the 1960s as a nursery selling mainly cut flowers for sale at Covent Garden in London. They expanded into growing and selling vegetable plants over the next few years and gradually evolved into .... Click here for the full article. The plants area is impressive and particularly attractively designed. All plants are bought in rather than grown on site. They look very healthy and well kept with hardy shrubs coming with a five year .... Click here for the full article.